In a new study, it has been revealed that the air quality in Delhi is the worst. Pollution in Delhi involves the concentration of particulates in the air. In the last 10 years, the quality of air in Delhi has led to a decrease in life expectancy by a decade and even more. As compared to pollution, people who smoke have a reduced life expectancy of 1.6 years. There is a higher concentration of particulates in the air now and has been enhanced by 69% in the last 20 years. One of the biggest steps that can be taken by the Delhi government to alter pollution levels is to control the number of vehicles. October was a better month for Delhi in terms of low pollution as compared to November when the pollution was high. Pollution is always high in November because of the festival of Dushera. In fact, due to the burning of effigies of demons on this auspicious day, the air quality gets quite poor. The air quality has a lot of soot in it during this time. It’s due to the paper of effigies which gets burnt during Dushera. Although the Supreme Court had imposed a ban on the burning of firecrackers this time, many of Delhi residents still indulged in this practice. 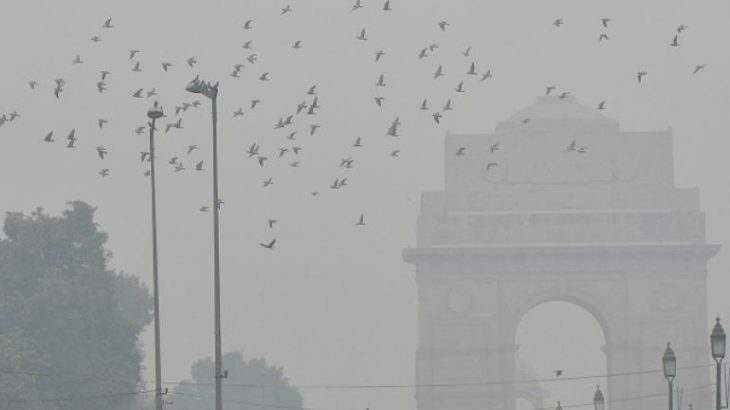 Most of the residents of the Delhi-NCR chose to actually be out of the city at the time of the Diwali because of the warning pollution levels. In fact, on Diwali, the pollution in this city becomes worse. Today due to vehicular emissions, the pollution in Delhi is so much that the life expectancy in India is quite short. In fact, it reduces the average life expectancy in this India by 4 years. This won’t have happened if the air quality guidelines established by WHO were met in India. Talking about the highest polluted places in India, the most polluted is Bulandshahr before Delhi. If Beijing could have a grip on pollution, why can’t India have it? Beijing exactly has the same levels of pollution just like India. It’s PM 2.5 levels are as high as India. As compared to 2008, the pollution in Beijing has reduced significantly. It’s due to the closing down of so many thermal power plants. Beijing has also imposed strict rules for vehicular emissions. India has the highest levels of pollution, less than Nepal only. In fact, life expectancy has also decreased in the country because of this pollution. Now, India has a lesser life expectancy than other countries whereas the life expectancy is 6 years more in many Asian countries. The Energy Policy Institute at the University of Chicago has declared that pollution reduces human health by as much as 1.8 years due to which it is the biggest danger to the health of humans. As compared to 1998, the life expectancy of an Indian citizen is now 4.3 years lower. In the US, residents live one year less due to pollution. Pollution has been recognized as a major threat to mankind after diseases such as HIV/AIDS and terrorism. It causes the loss of life more than these issues.